Because of the natural beauty and multitude of outdoor activities readily available, the Pocono Mountains are a popular camping destination. 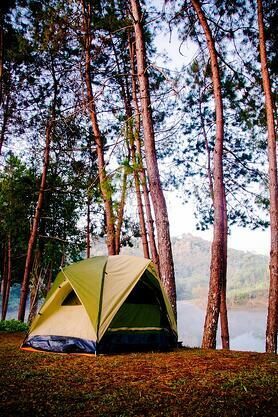 Poconos camping has been a popular pastime for both locals and visitors. There are many quality campgrounds with various levels of amenities that offer the very best for avid and amateur campers alike! Mount Pocono Campground is located in Mount Pocono, PA and offers 43 acres of wooded land and 191 amenity-optional campsites. Mount Pocono has everything - from water adventures like boating, kayaking, whitewater rafting, and water skiing - to local stables offering horseback riding, and more! There are also nearby vineyards and brewing companies! If you are trying to get away for a camping adventure, Mount Pocono Campground is a great choice! 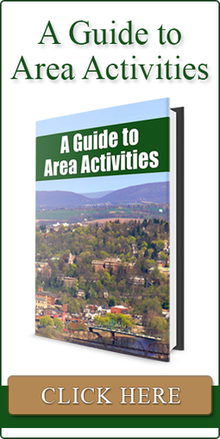 Mountain Vista Campground is located in East Stroudsburg, PA. Family attractions, outdoor adventure, recreation, shopping and natural scenic beauty are abundant at this excellent campground. The wooded setting provides a perfect spot for secluded camp sites for tents and all types of RV's, including Big Rigs. Cabins are also available. This campground is conveniently located nearby many attractions, including Bushkill Falls, the Delaware Water Gap National Recreation Area, Mount Airy Casino, golf courses, shopping, flea markets and restaurants. Keen Lake Resort is situated on a 90-acre spring-fed mountain lake in northeastern Pennsylvania! It offers RV, pop-up and tent camping. You can camp at the resort year-round, and in the winter, heated cottages are available for rent. Wayne County, home to Keen Lake, was founded in 1798 and named for the Revolutionary War General Anthony Wayne. In the town, Claws and Paws Wild Animal Park has a petting zoo, offers educational animal shows, and houses resident giraffes, lions and tigers. Montage Mountain offers skiing in the winter and water slides and tube slides in the summer. Let's not forget, Keen Lake also offers canoeing, kayaking, fishing, and swimming in the warmer months!